cedar chips smell good and repel bugs..bonus points! 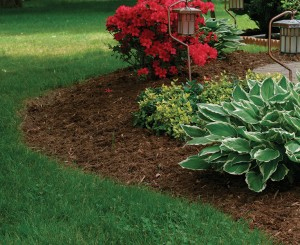 WATER: most wood mulch float in water and move in water. You definately want to make sure if you have a garden by the porch if the water runs off your house in a particular area to place a rock there. 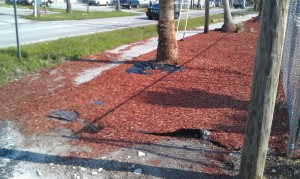 Also if your garden or area you want muched floods when it rains or has run off, your gonna have mulch everywhere. Posted in idea, plant, showerBookmark the permalink.